In order to participate in this program, you will need to have taken a prior Judy Neimeyer class. We recommend the Desert Sky class. Dinner Plate Dahlia is Judy Niemeyer of Quiltworx.com's fifth Technique of the Month (TOM) quilt. Judy's technique of the month patterns incorporate a wide range of Judy's techniques and familiarize quilters with those techniques in a manner that will allow them to pick up any of Judy's patterns and successfully complete them after they have completed one of the TOM patterns. The Dinner Plate Dahlia Quilt pattern includes complete instructions and pre-printed foundation papers to make a Queen size quilt finishing at 99" x 99" (as displaying in shop). NOTE: Your 1st pattern will be available, in February, at the front desk after signing up, so that you may begin your fabric selections. IMPORTANT: The pattern is issued in 6 parts. 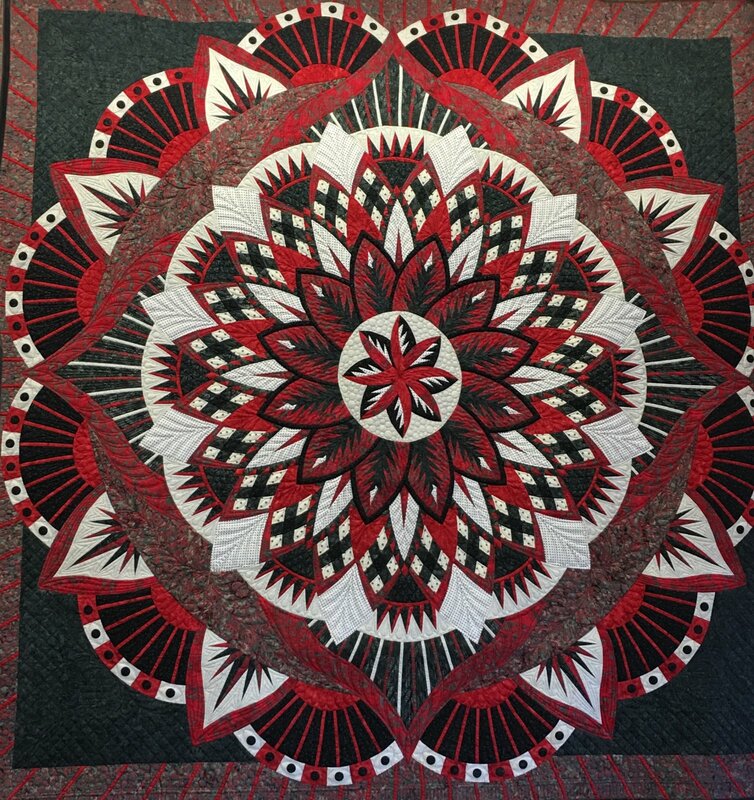 You are signing up for the full 6 months at $65 ($60 wall quilt) per month which includes your class with Carol Jayne, our certified Judy Niemeyer instructor, and your pattern(s). 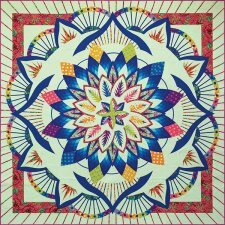 After your initial enrollment you will be given Part I of this pattern series so that you may plan your quilt. Each pattern part will be handed out after your payment for the next part of the series. ** This pattern is not available in our shop for purchase outside of the program. It is an exclusive instructional series only available through our instructor. Custom Quilt Design Session Included With Enrollment! Call the shop 225.315.7285 to schedule your appointment to custom create your quilt! Be prepared to spend 2-3 hours as we select the fabrics that will make your Dinner Plate Dahlia quilt unique! You will want to spend a little time research your quilt look ... Check out our Pinterest board here for inspiration. Bring those ideas with you. 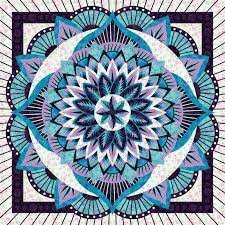 From that point, we will be begin to create your quilt, so that it becomes your unique and original quilt! You can email your idea to Margaret in advance, which would allow time to generate the quilt layout in advance. These are just two examples. Please be sure to research the many Dinner Plate Dahlia examples for inspiration on how to color your quilt! There are many great ideas on the Judy Niemeyer Quiltworx Website Here. All class materials available for purchase at the Quilt Corner. Instructor Bio: Carol is a Certified Judy Niemeyer Instructor currently residing in New Orleans, LA.